Remoweed is the automatic hoe (inter row and inter plant) manufactured by Ferrari Costruzioni Meccaniche. Different from the standard hoes available on the market, this machine introduces innovative technological solutions developed by putting into practice Ferrari’s experience and know-how. Remoweed’s most unique feature is the capability of removing weeds both between the rows and between the plants on the same row. The machine can scan and remove the weeds found along the width of its frame while moving forward. 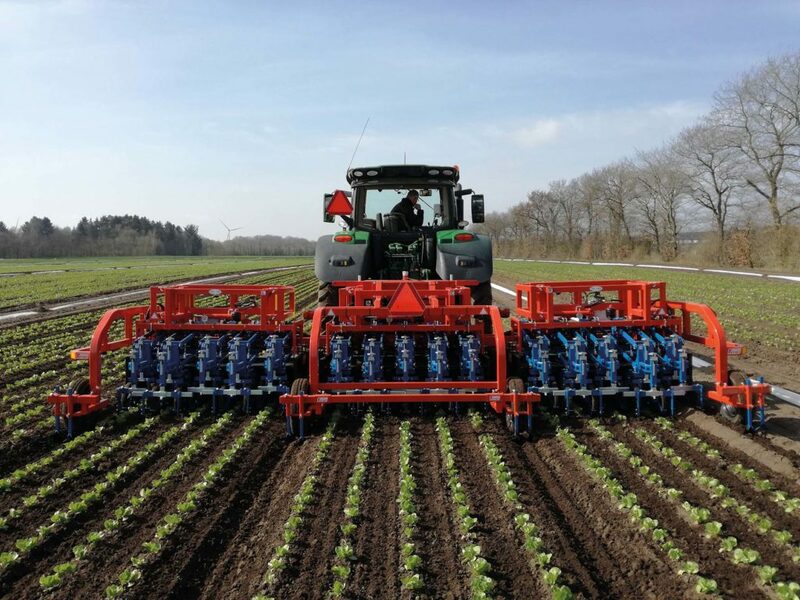 This operation can be accomplished in one single pass (no need to go back and forth on the same track to complete the hoeing procedure), getting at the same time the ground well aerated. Ferrari just launched a new multiple bed version. The machine in the picture is equipped with 15 lines (the number of units could be either higher or lower according to the number of lines per bed) and it is set to work on three beds. The frame is hydraulic foldable, in order to ease road transportation. Every single unit is independent from each other and uses an infrared optical bar to detect weeds and plants. Each unit is also equipped with a pair of hydraulic arms that hold the two cutting blades. The cutting blades can cut weeds as close as 1 cm from the plants and their working height is adjustable. The operator can interact with the hoe by using a very user-friendly touch screen. 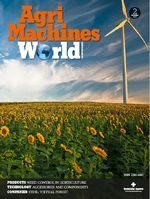 This device allows the user to set all the working parameters and to oversee the machine at work. Ferrari Remoweed means that every farmer will dramatically reduce both the labour force employed in the field and the chemical products applied to the crops: this is why Remoweed is perfectly suitable for both “traditional” and “organic” farming practices.